Forget about IMAX, Warner Bros. is going all in on ScreenX. For those who aren't familiar, ScreenX is a premium theater format that immerses moviegoers with a massive 270-degree screen that expands the image to the side walls, which makes the viewer feel like they're actually in the movie. This is good news for some of the year's biggest blockbusters, such as Godzilla: King of the Monsters and Shazam, as they're set to be screened across the globe in the up-and-coming format. Warner Bros. has struck a deal with CJ 4DPLEX, the South Korean cinema technology company behind ScreenX, to bring six different movies to the format globally this year. 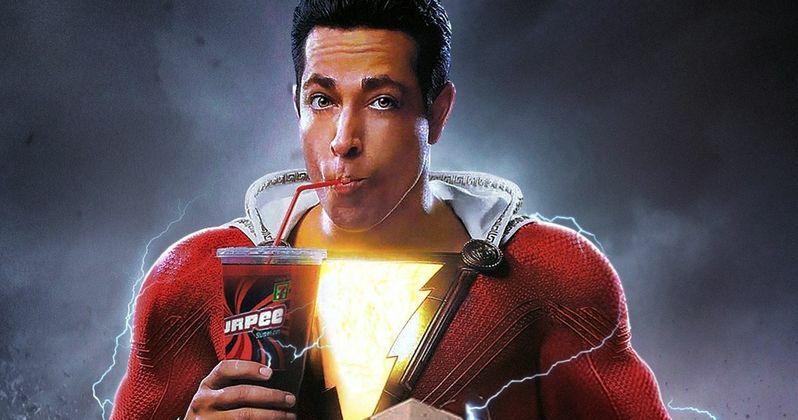 So far, the titles announced include Shazam!, which drops on April 5. The horror movie The Curse of La Llorona, which arrives on April 19. And the highly-anticipated Godzilla: King of the Monsters, which is scheduled for May 31. The studio has yet to announce the other titles that will release in ScreenX capable theaters, but they will be announced at a later date. Jong Ryul Kim, CEO of CJ 4DPLEX, had this to say in a statement. "Warner Bros. Pictures continues to be a strong supporter and partner of the ScreenX cinematic experience, and we are beyond excited to grow that partnership with a release of six titles from their upcoming film lineup. We continue to expand this new technology to an ever increasing and loyal consumer fan base that will help shape the moviegoing landscape for years to come." Last year, Warner Bros. released five movies in ScreenX including Rampage, The Meg, The Nun, Fantastic Beasts: The Crimes of Grindelwald and Aquaman. Clearly, this is a format that lends itself to big spectacle. There probably wouldn't be much need to watch something like If Beale Street Could Talk or Green Book in such a lavish and massive presentation. Thomas Molter, head of international distribution at Warner Bros. Pictures, had this to add in a statement. "As we look toward the future, we are excited to bring new experiences to audiences and continue to expand our partnerships to leverage innovative formats like ScreenX. As a company, we're always looking to create unparalleled theatrical experiences for moviegoers, and CJ 4DPLEX works with us to showcase great stories in unique new ways." ScreenX has become increasingly popular over the course of the last year. There are now 195 ScreenX screens across the globe in 62 countries, which marks a 30 percent increase when compared to last year. As it becomes easier and easier to just stay at home and watch a movie on Netflix, premium and innovative formats like this may be the type of thing that helps to keep the actual moviegoing experience alive for years to come. At the very least, it seems like a cool idea to watch Godzilla fight Rodan and King Ghidorah on a massive 270-degree screen. This news was previously reported by The Hollywood Reporter.